Today it is all about Art Inspired by Nature. You can see so much art in nature if you take the time to look. The Earth has provided us with so much beauty. The colors that surround us, the plants, flowers, bodies of water, creatures. Everything we see is art if you can appreciate it. 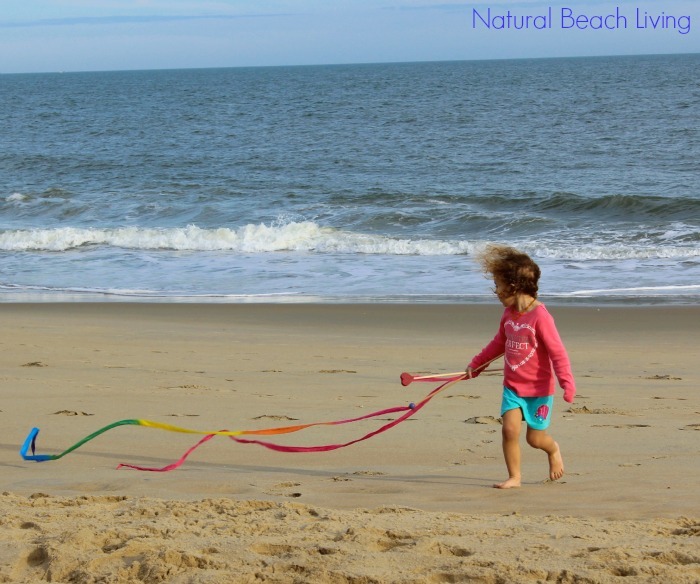 This is truly a look into our everyday lives and love for nature. I hope you enjoy it. 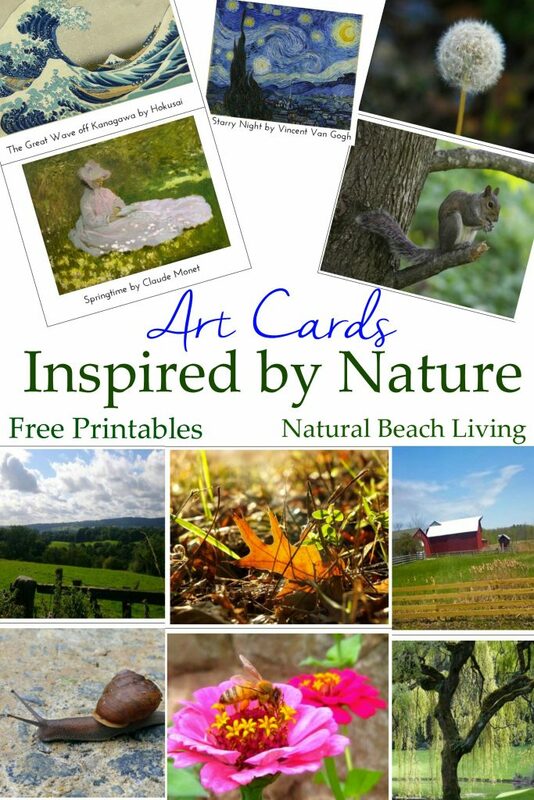 You can download your wonderful set of nature-inspired art cards below. 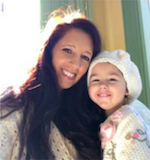 Today I am focusing on art for children age 3 and up. 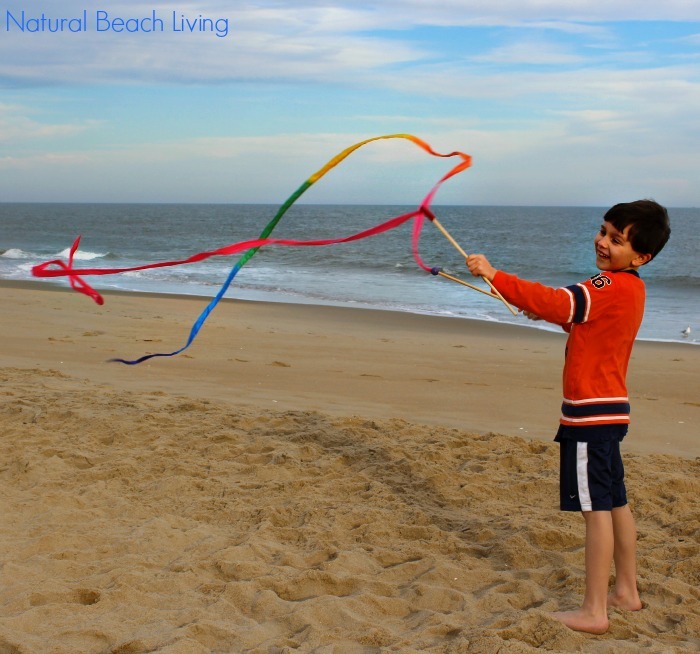 Although I do believe younger children can do any of these activities and you can use nature-inspired art at any age. I would definitely add different things in for a baby and toddler. That might have to be the next post. These eeboo sketchbooks are our favorites for on the go. We love everything eeboo! You can take another peek at the kids using them for our botany study. As far as drawing goes my children love the Branch & Twig Colored Pencils and Silky Crayons. It is also important to have clay for the children to use. Children absolutely love working with clay and creating their own art. Dance and movement as part of an artistic expression. We love Sarah’s Silks Streamers and playsilks. We have a lot of wonderful art books at home and visit the library regularly. 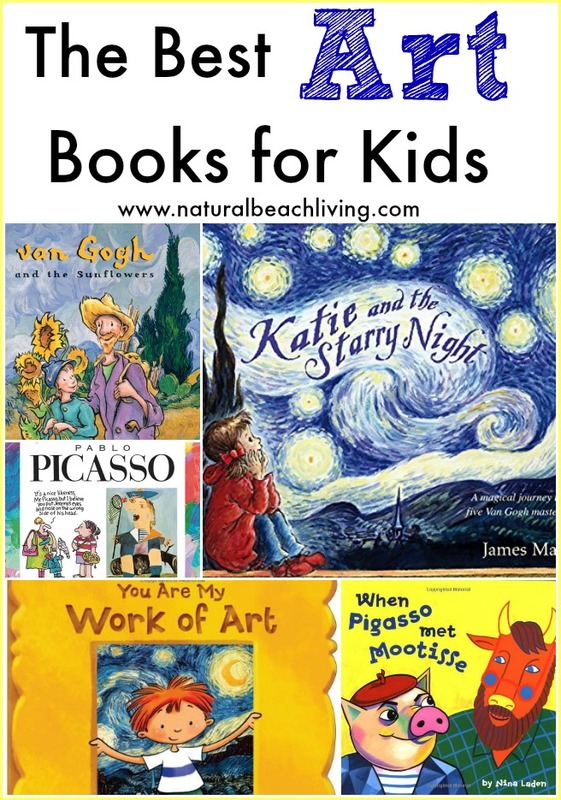 It is important for children to hear the stories of artists and see the masterpieces from a variety of different artists. 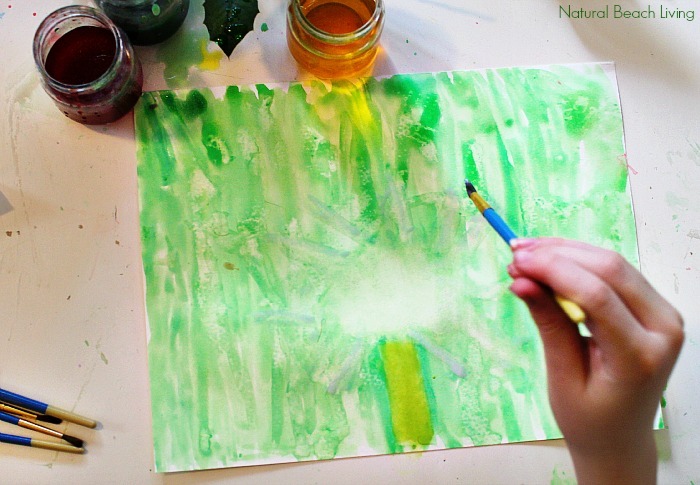 I Am an Artist is the perfect Montessori art nature-inspired book. It is a favorite at our house. 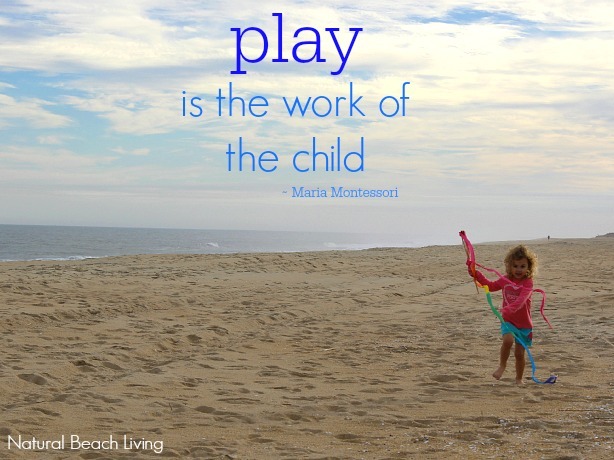 Maria Montessori believed children should have high-quality art supplies. In saying that we do what we can. I love having higher quality paper for the children to use. It really does make a big difference. We have a lot of different watercolor choices. Liquids, Artist’s Loft Watercolor Pan Set and Watercolor Paint. Aprons, trays, art sponges, brushes, and paints are always within reach for my children to enjoy. 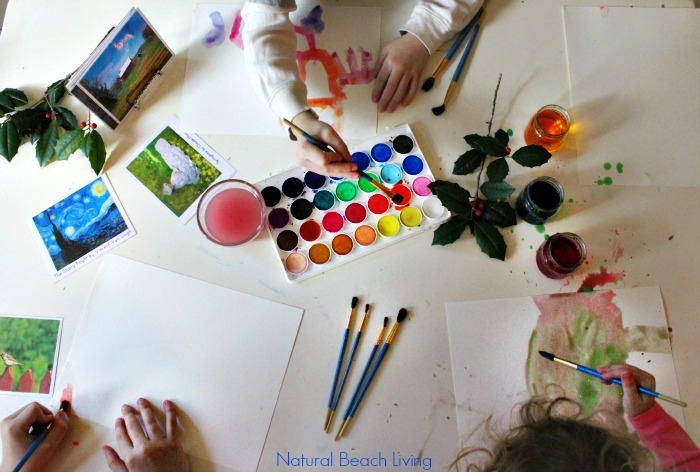 If you don’t have an art area already you should definitely think about setting up a safe place for your children to explore art. You never know they might be the next Picasso. What does art look like at your house? 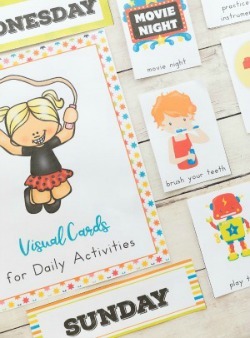 A MUST because it’s Awesome and keeps your printables looking wonderful for years: Scotch Laminator and Laminating Pouches. You can also check out other must have homeschooling essentials right here. I can’t imagine homeschooling without my laminator. This is The Best Montessori Series Ever! 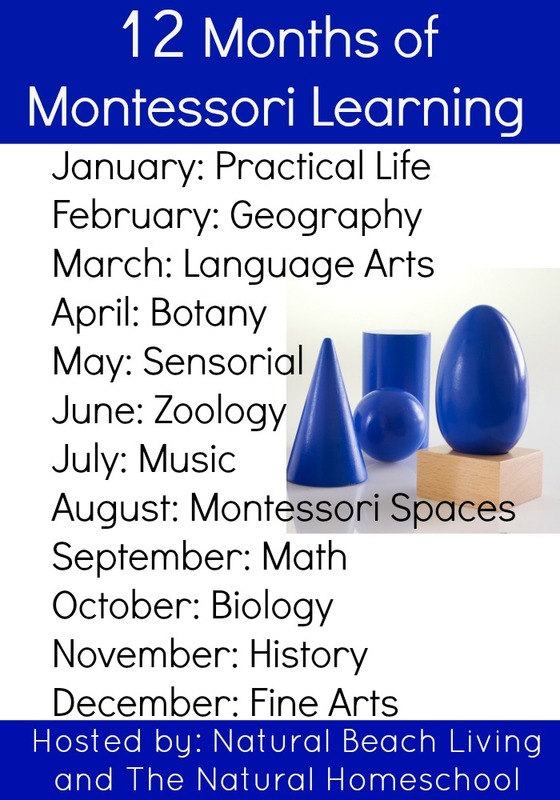 You can visit our 12 months of Montessori Learning Home Page where you will find it packed full of information, helpful tips, and activities for your Montessori journey. 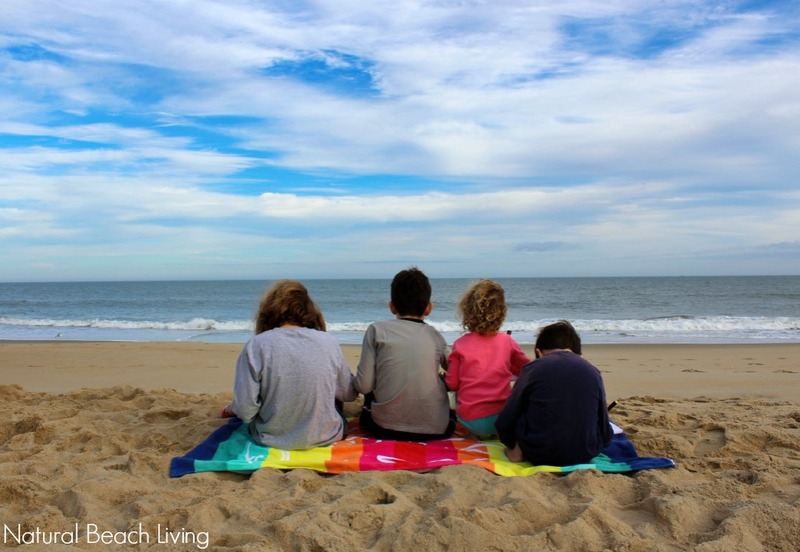 We also have an amazing Facebook group Natural Living and Learning where we welcome you to feel at home. Share pictures, ideas and ask questions. Experimenting with watercolors is my new favorite hobby and it’s fun sharing it with my daughter, too. I love all the creative expression you encourage! Every time I see photos of your surroundings I’m inspired. It’s so beautiful. I love how you are working that into an art experience. Our terrain is a bit different but I know I can use some of these ideas when we’re out in nature. This is lovely! 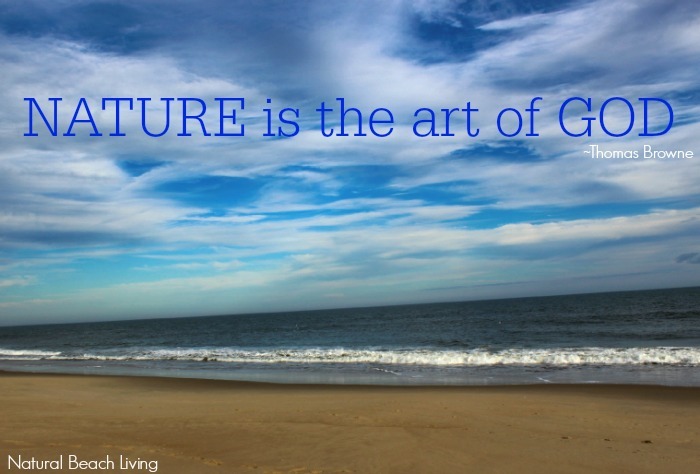 Nature is such a wonderful inspiration for artistic expression! I need to visit the library and check out some of these art books you mentioned. 🙂 I will also check out eeboo sketchbooks! 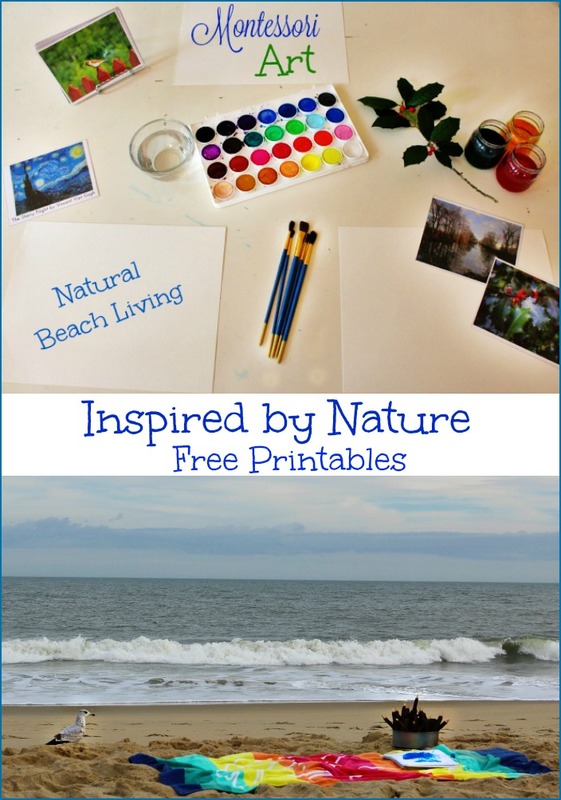 What a fun nature-inspired art post! You really captured the true essence of what art is all about. 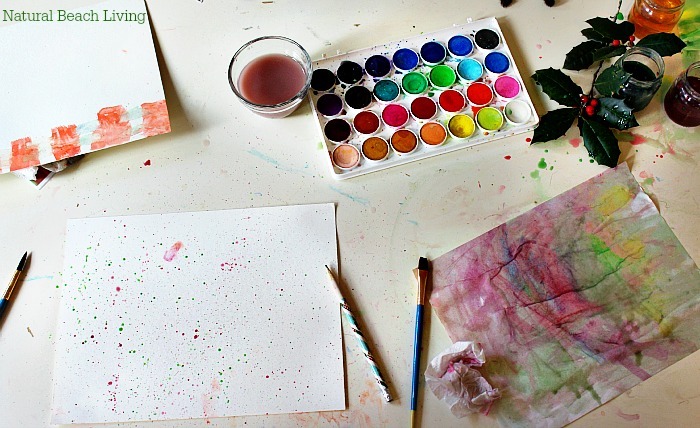 Freedom of expression and one’s own ideas in art is wonderful for children to practice regularly. 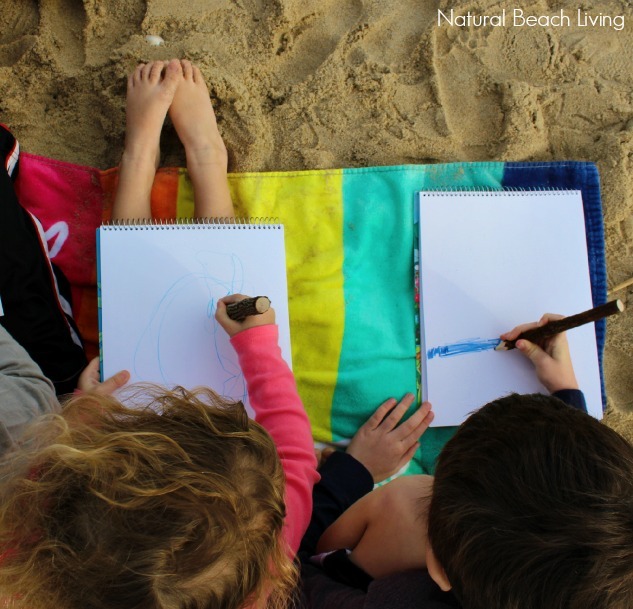 I love the pictures of your children drawing at the beach! What a wonderful experience.